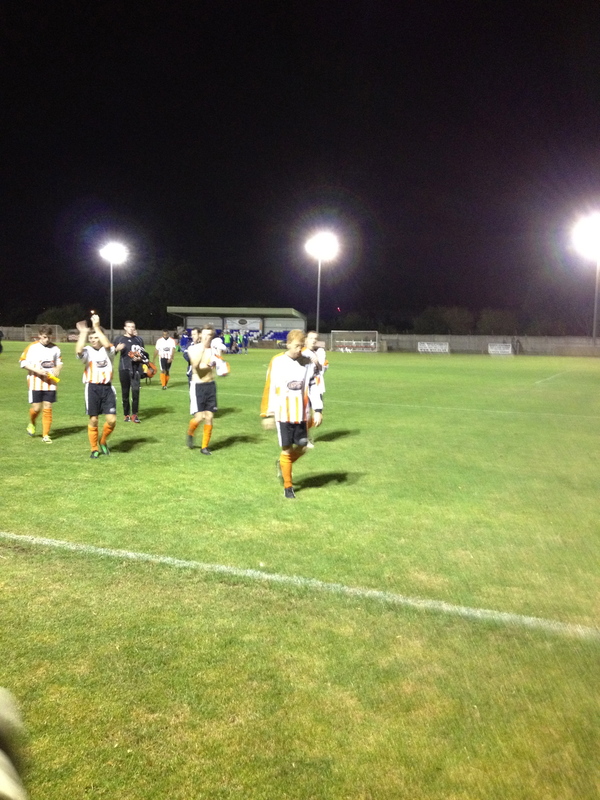 For the second round in succession, Ashford Town (Middlesex) had to negotiate a replay after a 2-2 draw in the first game against South Midlands League opposition. On a night that signalled the arrival of Autumn, the game got off to a full blooded start, with both sets of players desperate to get the blood flowing. George Brinkman was the pick of the visiting players in the early stages, and he should have opened the scoring in the first three minutes. After his initial shot was blocked, the ball ended up out on the right, from where it was crossed in and evaded everyone before ending up with Brinkman no more than two or three yards out. Instead of connecting first time, he took atouch before shooting, allowing Russell Canderton to get a block on the line and the ball deflected onto the bar. How it stayed out remains a mystery! The game pulsated from end to end, without either team creating too much in the way of clear goalscoring chances. The best move of the opening quarter hour again came from Dunstable, with Lee Roache flicking on a cross from Nathan Frater, and again the ball came to Brinkman, but he fired into the side netting. For Ashford, the best moment came a couple of minutes later. Ashley Lodge jinked past a couple of challenges in the middle of the pitch before unleashing a shot from all of twenty five yards which the keeper tipped wide at full stretch. Ten minutes later, and Harry Knock almost repeated his goalscoring heroics from the first match that earned the replay, but he was unlucky to see his long range thunderbolt smack Lewis Kidd’s crossbar. There were a couple of opportunities for either side in the last five minutes of the half, but the scoreline at halftime was Ashford Town (Middx) 0 Dunstable Town 0. With a nice warming chicken soup warming me up, the second half got underway, and again it was the visitors who looked the more impressive side. However, for all their good play, they were unable to test Town keeper paul McCarthy, and it was Ashford who almost took the lead just before the hour. Mark Bitmead cut inside and unleashed a left foot shot that Kidd tipped over. Dan Brown then got his head to a free kick just ahead of the keeper, but was unlucky to see his header loop over the bar. The game then began to go a little flat as extra time loomed, with neither side wanting to risk too much going forward at the risk of letting their defence get breached. There were a few half chances, but neither goalkeeper was tested, and the final chance went to the home side; Kofi Lockhart-Adams turning a Bitmead cross over in the third minute of stoppage time. Full time: 0-0. Extra time saw Ashford pull clear of their opponents, starting in the third minute of the first period courtesy of a Mark Bitmead penalty. Lewis Kidd half cleared a corner, and inexplicably charged out to try and claim the loose ball, but as he dived for it he brought down Ashley Lodge and left the referee with little option but to point to the spot. 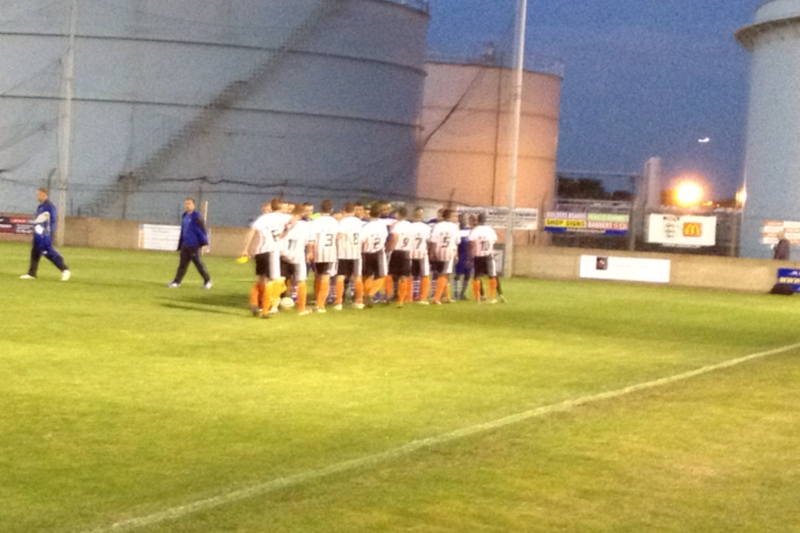 Bitmead stepped up and comprehensively smashed the ball into the roof of the net to open the scoring. Eight minutes later, and the winger himself was scythed down whilst cutting inside, and again the referee had no alternative but to award the spotkick. Bitmead dusted himself down and, instead of smashing the kick, he placed it expertly past Kidd to double his and Ashford’s tally. The strange thing about the match was that Ashford manager Paul Burgess only made his first substitution after 104 minutes, bringing Joe Bennett on to replace Kofi Lockhart-Adams. Half time in extra time came, and the players changed ends and kicked off immediately, and straight away the home side were looking for a third. Receiving the ball from a throw in, Dan Brown hit a fierce shot which Kidd turned away at his near post. Alex Duffy came on to replace two goal hero Bitmead, and within a couple of minutes he fizzed a freekick into Kidd’s hands. It was largely all Ashford, and they got their reward with seven of the extra minutes remaining, when Dan Brown curled a beautiful shot past Kidd’s despairing dive and into the bottom corner. It was a real moment of class in a blood and thunder match. Samad Kazi came on for Ed Thomas in Ashford’s final change, and Kazi almost provided an assist in the final minute. Receiving the ball from Brown, he embarked on a surging run before finding fellow substitute Bennett who lifted the ball over Kidd and into the net However, his celebrations were cut short by the assistant referee’s flag. Almost immediately, the referee brought the curtain down on an eventually satisfying result for the Tangerines, whose reward is a home tie with St Albans City on September 22nd. 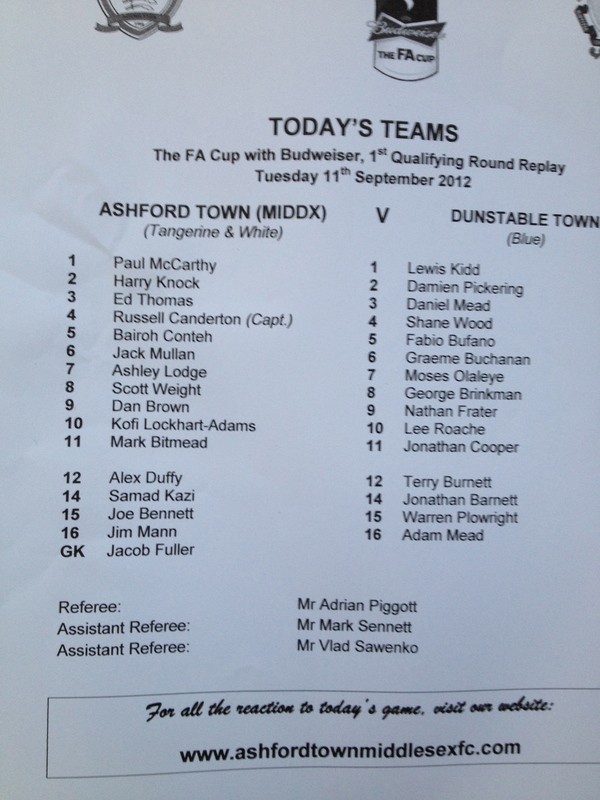 Posted on September 12, 2012, in UTL Archive and tagged Ashford Town (Middlesex), Dan Brown, Dunstable Town, FA Cup, Lewis Kidd, Mark Bitmead. Bookmark the permalink. Leave a comment.